Owning a house is the ultimate goal for most people. But unfortunately, it’s become more difficult than ever. Since the recession, securing credit on a home has become something that’s out of reach for many young would-be buyers. However, if you’re ever able to get a foot onto the property ladder, it’s always worth doing. Whether it’s using your life savings, you get help from family or come into some money, a home is a solid investment. Here’s why. Bricks and mortar are always a worthwhile investment. While interest rates fluctuate, when you’re buying a house for the purpose of living in it these fluctuations don’t generally pose too much of a problem. In most cases, houses will continue to grow in value which means it’s an excellent way to put your money to work. 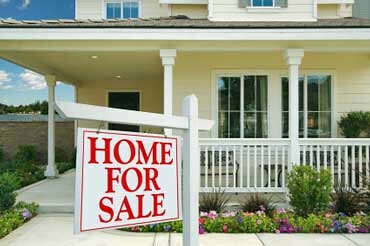 A home is something that could be sold in the future to move elsewhere, or could be passed down to your children. Plus once your mortgage has been paid off, your accommodation is essentially free to live in meaning you have more security later in life. You could look at real estate in your local area and see what kind of properties you could realistically afford. This gives you something to aim for. Renting does have its advantages. But on the down side, every time you pay rent it’s ‘dead money.’ It’s doing nothing for you, it won’t grow or help you in the future. Someone else is benefitting from the money you pay it. The second it leaves your bank account it’s no longer doing anything for you. Buying a home means every change, renovation penny you pay into it is all safely stored away in its value for you to unlock when you want it. We’ve all heard horror stories about landlords. Those who rent out their properties in uninhabitable conditions, are never around to speak to about issues and charge well over the odds for properties. When you buy, you don’t have to deal with landlords. Admittedly it means any repairs are then your cost to cover, but having the right insurance in place and a contingency fund will stop you from getting into trouble here. When you’re renting, you pretty much have to accept the home as it is. While many landlords will let you decorate and some might even allow minor changes, the house comes as it is. When you own, you have the freedom to change your home however you see fit. You might need planning permission in some cases, but if you want to add an upstairs bathroom, rip out the kitchen, rejig the layout or remodel the garden you’re able to do that. It allows you to create a home that fits your lifestyle, as opposed to fitting your lifestyle around the home. Even minor things can be annoying in rented properties, you might hate the color of the floors or the pattern of the tiles. When you own, you never have that issue since you can change it to whatever you want. ← Understanding the Nature of Debts, Should you pay Old Debts!